Norma Schwartz, born in Argentina a few months before the end of World War II, began practice as a psychoanalyst, started a family and was involved in social and political issues during a harsh dictatorship. She emigrated to Spain, where the hope for a new democratic era was starting to emerge. Norma moved to the United States in the mid ’80s, and found the opportunity to pursue a new passion: sculpting. 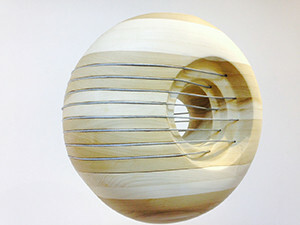 As a sculptor, learning the techniques, exploring new materials, creating new forms of inhabiting a three-dimensional space, and the importance of light gave her the opportunity to express what would otherwise be impossible to express in a different way. In sculpting she found a new language to talk about her thoughts and feeling, where each of her works are an attempt to say something through an abstract language and each of them has the background of her own life.